The other day while I was out driving, I noticed the first leaves starting to turn and my heart did a little happy dance. (OK, maybe it was just a perimenopausal heart flutter, but I’m going with Happy Dance.) Anyway, that can only mean one thing – it’s soup season!! In a medium saucepan, saute onions in 2 tablespoons butter until translucent. Add mushrooms and saute 2-3 minutes more. 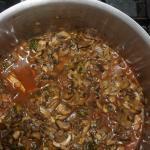 Add mushrooms, paprika, half of the dill, wine, and soy sauce. Cover and simmer 15 minutes. Turn off burner. 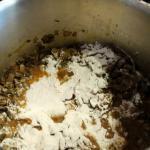 Add remaining butter to mushroom mixture and stir to melt. 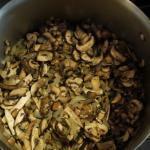 Sprinkle flour over mushroom mixture and stir to thicken. Add half-&-half and stock all at once, stirring until smooth. Season to taste. I usually add a little more paprika at this time. Turn the heat back onto low, cover and simmer 10 minutes. Just before serving, add lemon juice and sour cream. Garnish with sour cream and chopped dill. When it is all done, I usually smooth this out just a little with my immersion blender. If you do this, don't go crazy: you want to have meaty pieces of mushroom in it for texture and bite. 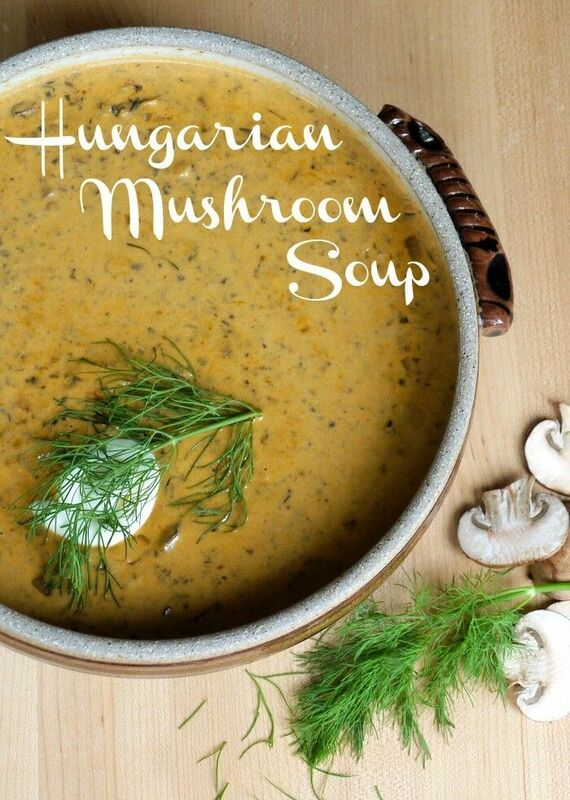 I love mushroom soup- this sounds great! 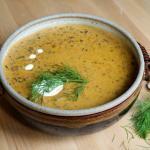 this is actually one of my favorite soups and recipes! 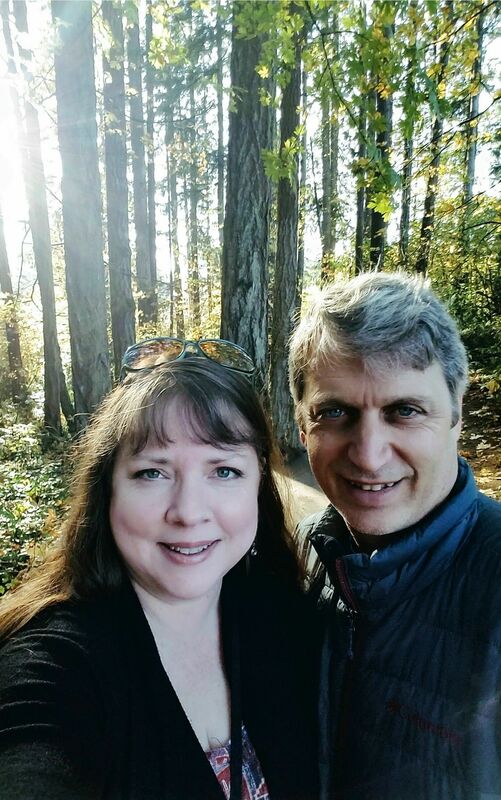 love the original recipe from the moosewood! 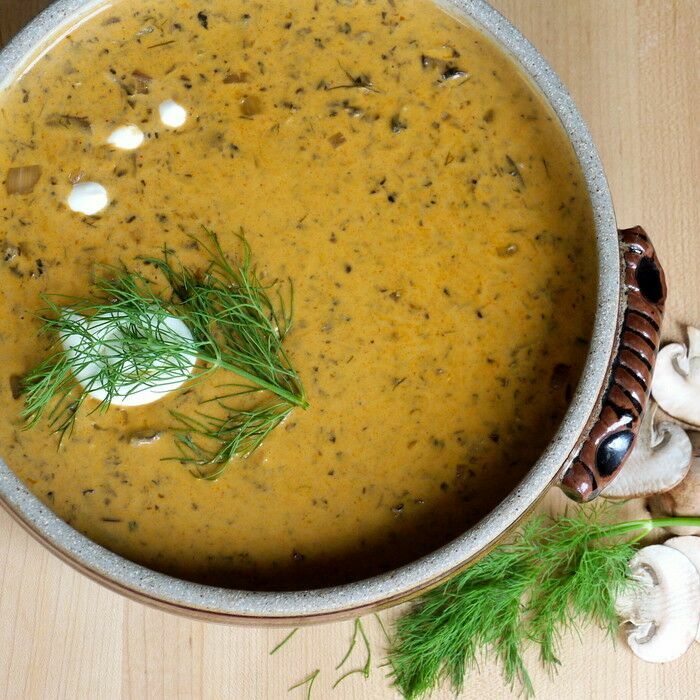 I’m not really a mushroom person, but this is such a lovely looking soup that it may make me change my ways! We have a pot of soup going all the time, literally. I have found broth and soup to be very healing. It’s wonderful to see you writing about it. This recipe looks delicious! Why I had to see this now? I totally feel like that soup right now and my country’s in summertime still! This soup looks divine! I’m a huge fan of mushrooms, so I’m eager to try this out!! The recipe is good! But sorry, but the soy sauce isn’t hungarian spice. (I’am a hungarian, hungry woman).  Have a nice day! I totally agree, but it seems to work for this recipe, so there you go. It was in the original that I references from the Moosewood Cookbook. Neither this one nor that claim to be authentically Hungarian, any more than your average corner Chinese place claims to be authentically Chinese. I love the sounds of this soup. It sounds so luxurious and delicious. Can’t wait to try it. You got me at mushroom and soup! Love them both. Can’t wait to try this recipe, sounds comforting! Beautiful! The paprika really lifts the color (and I’m sure the flavor too). Can’t wait to try this version. I really love mushroom soup and the color on this is gorgeous! Cooked this soup last night and everyone went back for refills. The color was not quite as yellow but the flavor was amazing. Thanks for sharing this awesome recipe.